Students and community members gathered on Tuesday at Troy Elementary School to dedicate the Martin Luther King Jr. Day of Service Outdoor Classroom. Sims also described the work done by volunteer students from Troy University building the outdoor classroom, the tables in it and cleaning the nature trail. She described to her students the variety of learning experiences available there such as reading, art and science projects. 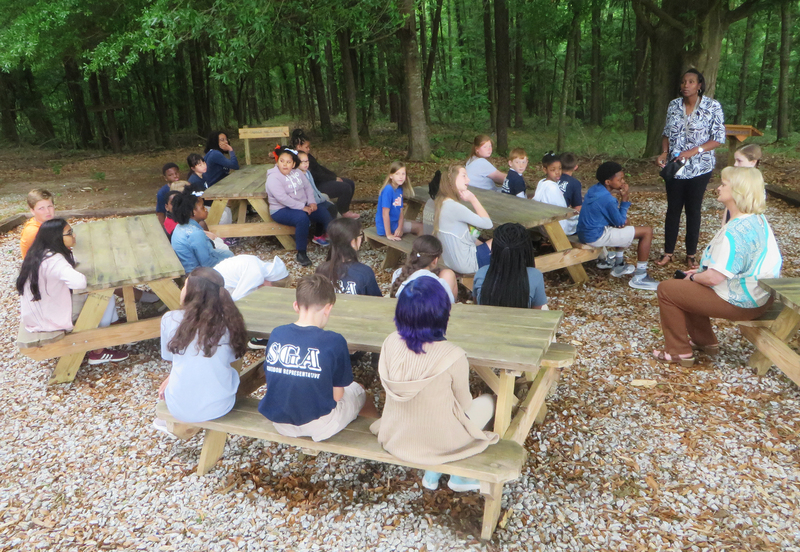 According to Avery Livingston, the coordinator of the Office of Civic Engagement at Troy University, the outdoor classroom was the product of a partnership between Troy University and Troy Elementary, and it was funded by Youth Service America for Martin Luther King Jr. Day of Service. Reeves encouraged the students to learn from the example of the Troy students who helped build the outdoor classroom and to give back to their communities as they grow.